Choosing a child’s bed that’s comfortable, well made and provides optimum support for a good night’s sleep is important – but it can also be fun! And when it comes to fun beds, we have a fantastic range of novelty beds to choose from. Beautifully designed and available in a selection of bright colours, you’ll find a Haani single bed with realistic features to capture your child’s imagination. 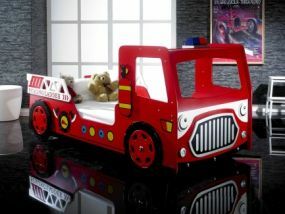 Our themed beds include racing cars, fire engines, police cars, pirate ships, and a princess carriage bed - all great to sleep in and a fun and creative way to personalise your child’s bedroom. Included in the designs you’ll also find some cleverly integrated practical features, such as shelves and extra storage space. All beds are designed to take a standard-sized mattress and are delivered flat packed with clear instructions for easy home assembly. 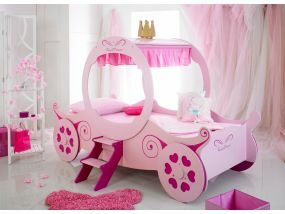 Order one today and surprise your child with a bed they’ll love!